After snowing on Wednesday last week the weather has really picked up over the last couple of days. With the roads having dried off and the weather forecast looking sunny all day, we decided to head on on a short run to Hawes to blow off the cobwebs. We left home and then filled up with fuel at the local garage as we were both on reserve. We headed over to Clitheroe services to have a quick toilet stop, our morning coffee has always gone through us by then. I tried to start my bike at Clitheroe but it failed first time and then the battery didn’t have enough power to start it. So Helen had to push me and on the third attempt it started and stayed running. The battery is obviously no good, so i will have to order one shortly. We left Clitheroe and followed our usual route to Settle via the minor backs roads of Sawley and Wigglesworth. 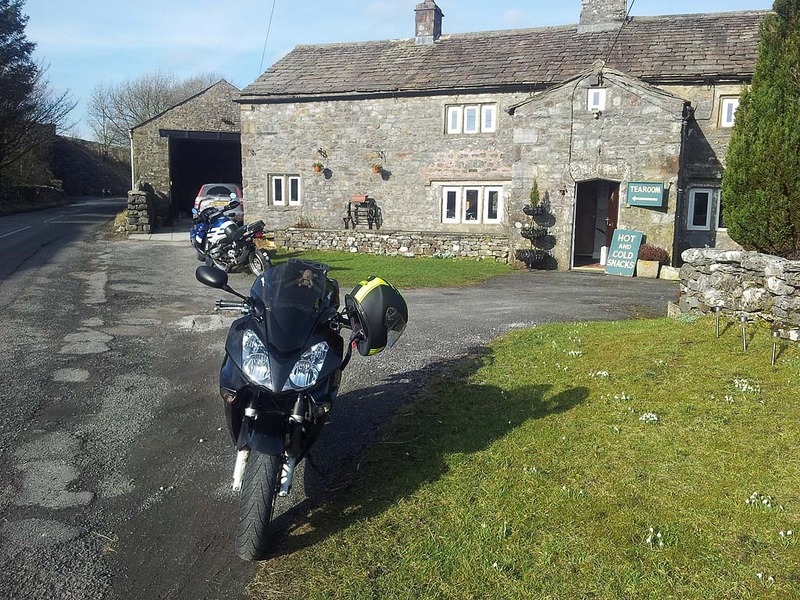 We passed by Settle and joined the B6479 and passed through Horton in Ribblesdale, we noticed that the nice tearoom was open but decided to stop there on the way back. 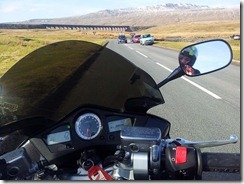 So we continued on and headed for Ribblehead Viaduct, where we turned right on to the stunning B6255 to Hawes. We arrived in Hawes in no time but the B6255 has suffered a bit over winter as a few potholes had appeared. It was only resurfaced the other year so they obviously didn’t do a good job on it. 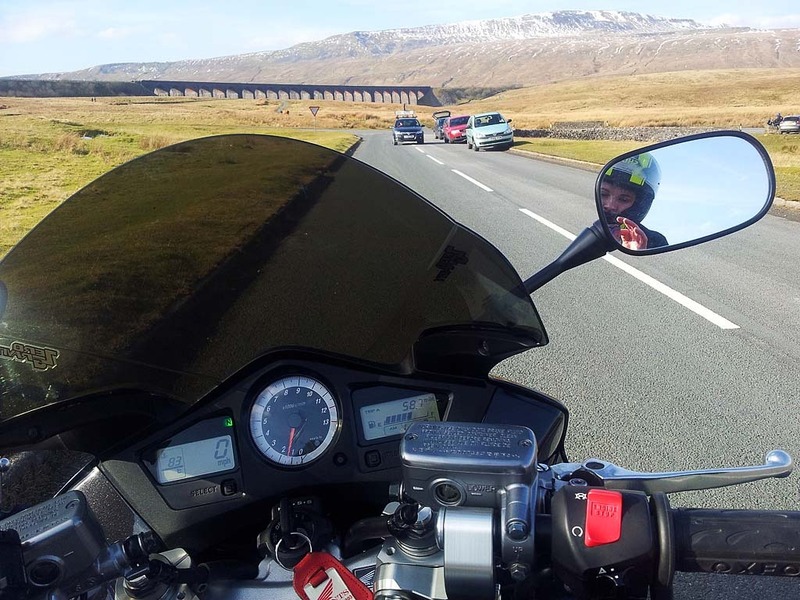 We didn’t stop in Hawes and immediately turned around and head back to Horton in Ribblesdale and stopped at the tearoom for lunch. 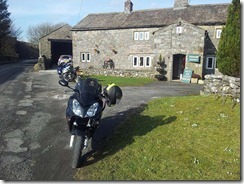 We left Horton in Ribblesdale and retraced our route back home. By the time we got to the M66 it was starting to get a bit colder now, but we managed to get home bother it really started to affect us. Due to the salt that was about on all the roads we decided it would be best to wash the bikes. Looks like the water board has really backed the pressure off on the mains water over winter.